Save Coins & Paper Money to get e-mail alerts and updates on your eBay Feed. Unfollow Coins & Paper Money to stop getting updates on your eBay Feed. 1995 $10 Quarter Ounce Gold Eagle PCGS MS70 ~ PCGS Price $11,500! 1996 $10 Quarter Ounce Gold Eagle PCGS MS70 ! 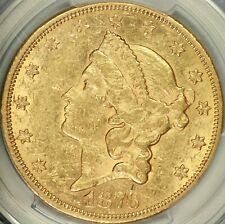 1881 Gold Dollar NGC MS66+PL ~ Prooflike! 1968 Washington Quarter PCGS MS68 ~ Top Pop! 1954 Proof Lincoln Cent NGC PR66RD UCAM ~ Ultra Cameo! 1944-S Jefferson Nickel PCGS MS68 ~ Rainbow Toning! This page was last updated: Apr-25 07:20. Number of bids and bid amounts may be slightly out of date. See each listing for international shipping options and costs.